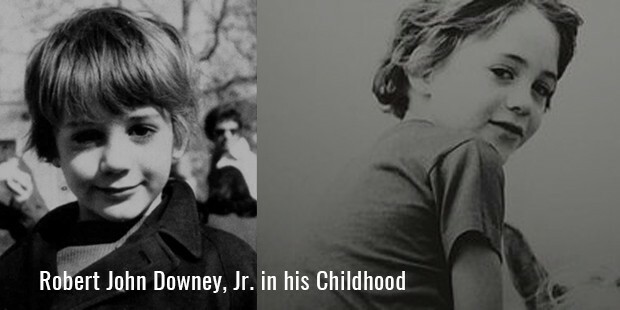 Robert ‘John’ Downey, Jr. was born on April 4, 1965 at Manhattan, New York City. His father and mother were both part of the film industry. His father was an actor and director whereas his mother was a small-time actress. As his father was a filmmaker, Robert got to play minor roles in his father’s films from the age of 5 itself. He joined Stagedoor Manor Performing Arts institute as a 12 year old. At the age of 13, he moved to California and joined the Santa Monica High School. 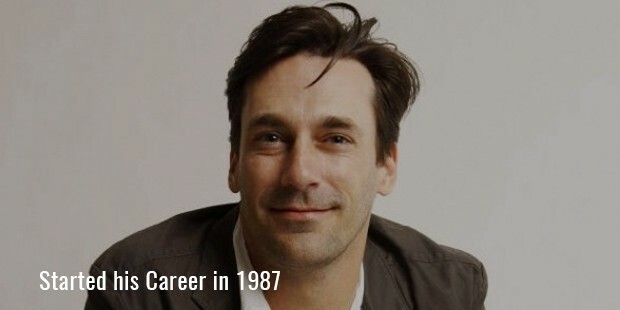 In 1982, he quit school to pursue acting as a full-time career and moved back to New York. He played many minor roles in theatre and films, but was unable to establish him for a number of years. The breakthrough role that started his career was in the 1987 film ‘Less Than Zero’ where he played the role of a drug addict. His performance got him many positive reviews from critics and art film enthusiasts. His realistic performance gave him a flood of offers from other top directors. He got to act in averagely successful movies like ‘Soapdish’, ‘Chances Are’ and ‘Air America’ in the next 4 years. 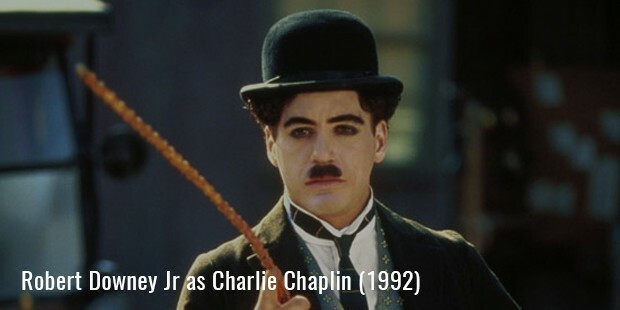 Again he came back to the spotlight with his performance as Charlie Chaplin in the 1992 movie ‘Chaplin’. This film not only got commercial acclaim but got him an Academy Award nomination for Best Actor. He became a regular cast in many of the successful films of the 1990’s but was in and out of prison for the drug offenses that he regularly committed. Many had written him off and he was himself not interested in acting anymore. But after months of rehabilitation, he got back to act in the hit television serial ‘Ally McBeal’. He got back into mainstream films with the 2003 film ‘The Singing Detective’. He went on to act in more and more successful films as years went by like ‘Gothika’, ‘Kiss Kiss Bang Bang’, ‘Zodiac’, ‘Good Night and Good Luck’ and ‘A Scanner Darkly’. 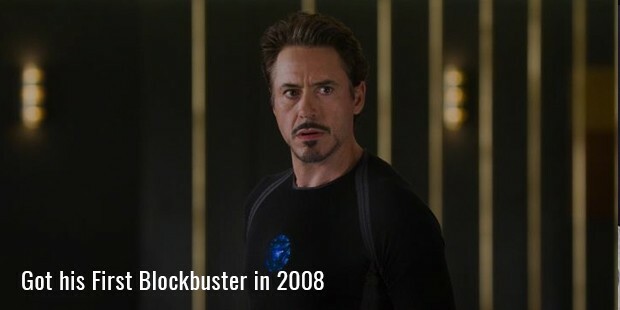 He got his first blockbuster in the form of ‘Iron Man’ released in 2008 which grossed more than $580 million. With this critically and commercially successful film, he had become an overnight superstar in Hollywood. After so many years of struggle, Robert Downey, Jr. was finally able to be part of Hollywood blockbuster movie. He went on to star in ‘Iron Man 2’ in 2010 which went on to gross more than $620 million and ‘Iron Man 3’ in 2013 which grossed $1.2 billion. 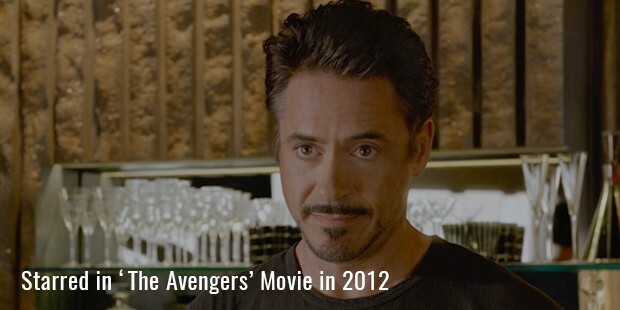 He starred in the ‘The Avengers’(2012) which went on to gross $1.5 billion. He also starred in highly critically praised ‘Sherlock Homes’ film series(2009, 2011) which went on to gross more than $1 billion combined. He has been the lead actor in 6 films which have grossed over $500 million, of which 2 of them have grossed more than $1 billion at the Worldwide box-office. He has earned close to $75 million between 2012 and 2013 making him the highest paid actor in Hollywood. 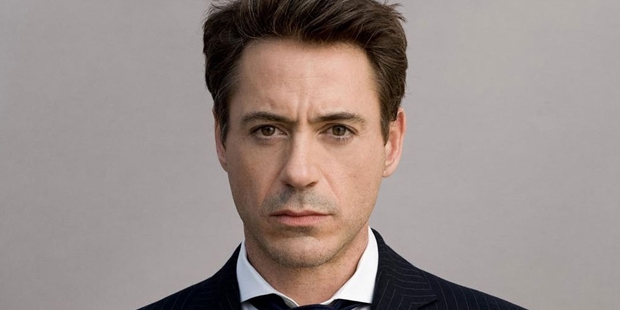 From having no interest in acting to being the face of Hollywood today, Robert Downey, Jr. is the biggest success story in the entertainment industry today.